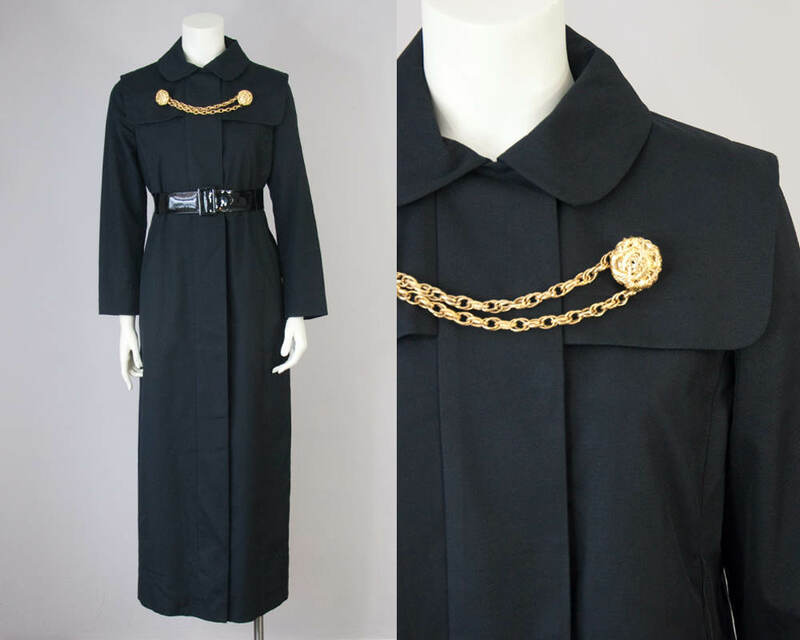 Amazing late 60s vintage black maxi jacket by Joseph Stein designed by Muriel Reade. 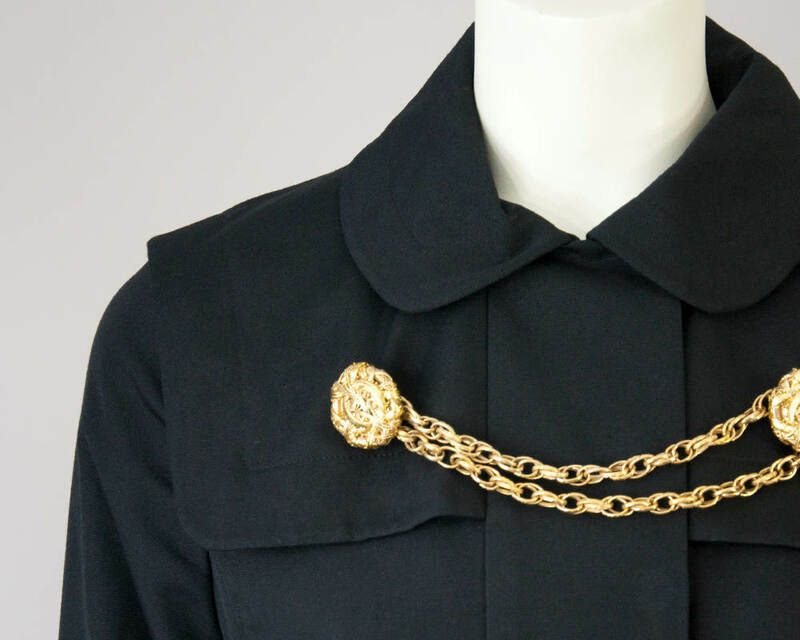 Unique Gold buttons and chain. Rounded peter pan collar. Sleek woven fabric. I think it's a high quality synthetic. Full cut through body. 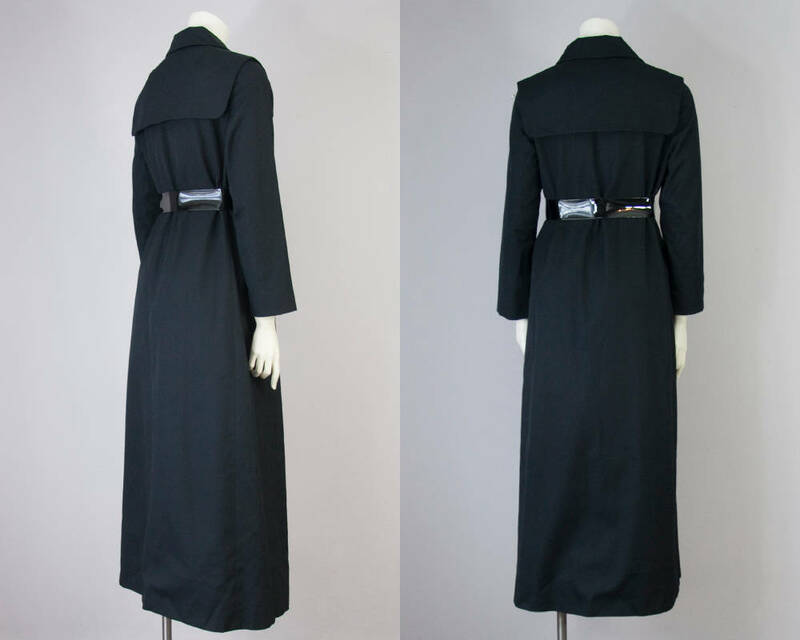 Large belt loops above natural waistline. Belt is missing -- Belt pictured does NOT come with jacket. Fully lined with black satin. Snap closures. 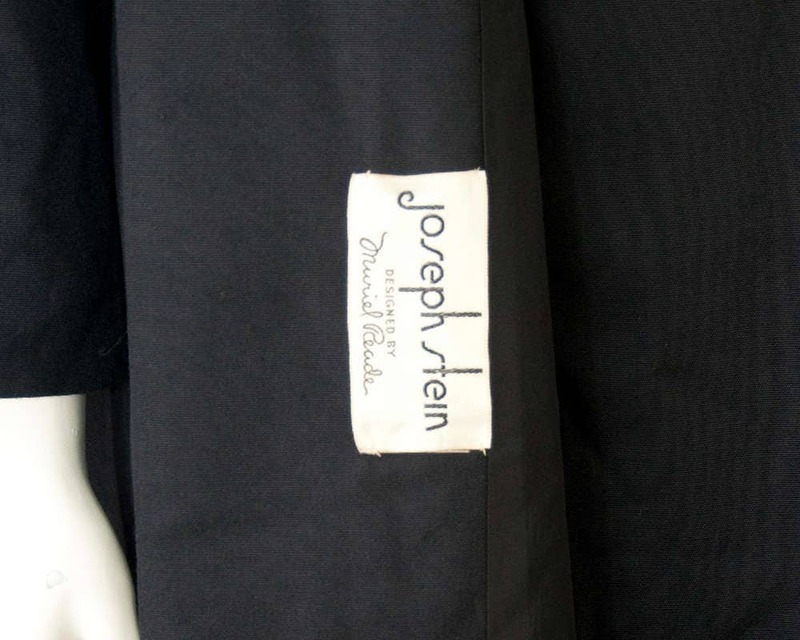 Joseph Stein was a traditional coat and suit maker, founded in the early 1920s. 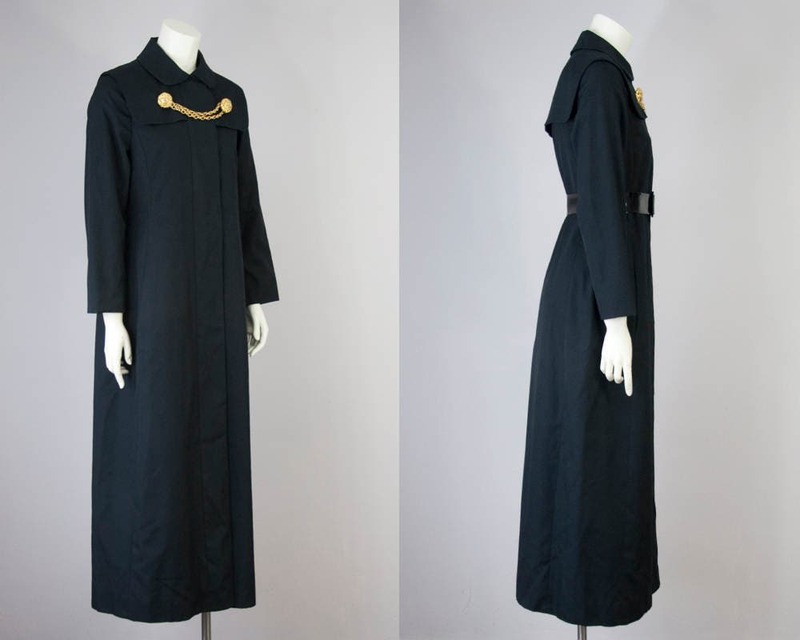 He retired in 1967 and designer Muriel Reade was hired. Modern Size:Small - Medium (full through body)-- Review measurements below to ensure a great fit. Imperfections: missing belt (belt pictured is NOT included). 2 thread Belt loops broken off at bottom point. Chest (1" below armhole): 38"